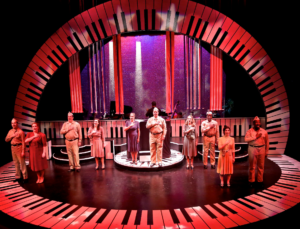 Cyndy Smith-English, executive director of Clackamas Repertory Theatre which is presenting Irving Berlin’s The Melody Lingers On! 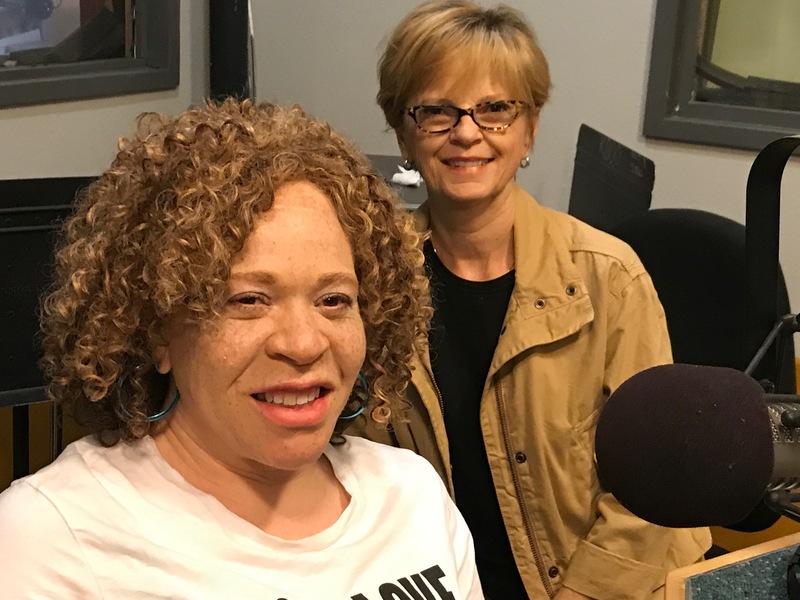 The musical runs through Aug. 27th with acclaimed vocalist LaRhonda Steel , who joins us in the studio. 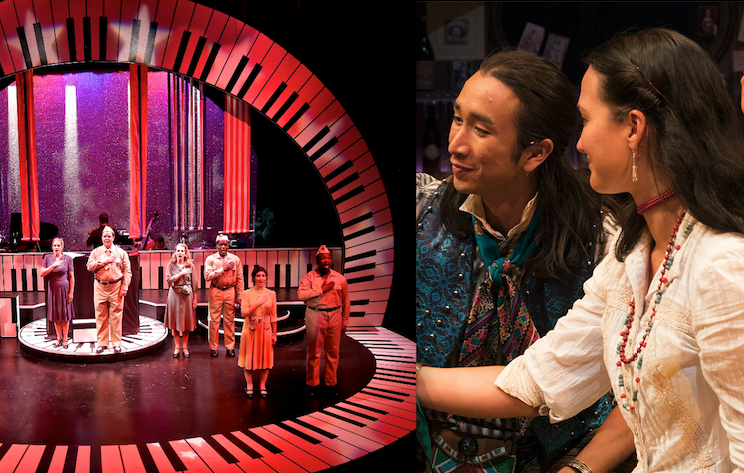 And in the second part, we’ll hear from playwright Randy Reinholz whose play Off The Rails marks the first time in its 82nd year history that the Oregon Shakespeare Festival has produced a Native American playwright. The play runs through Oct. 28th. Irving Berlin’s The Melody Lingers On! How is it that a man with limited formal and musical education, and inability to write in any key except F# without the aid of a transposing piano, was able to create some of the most versatile and memorable music the world has ever known? 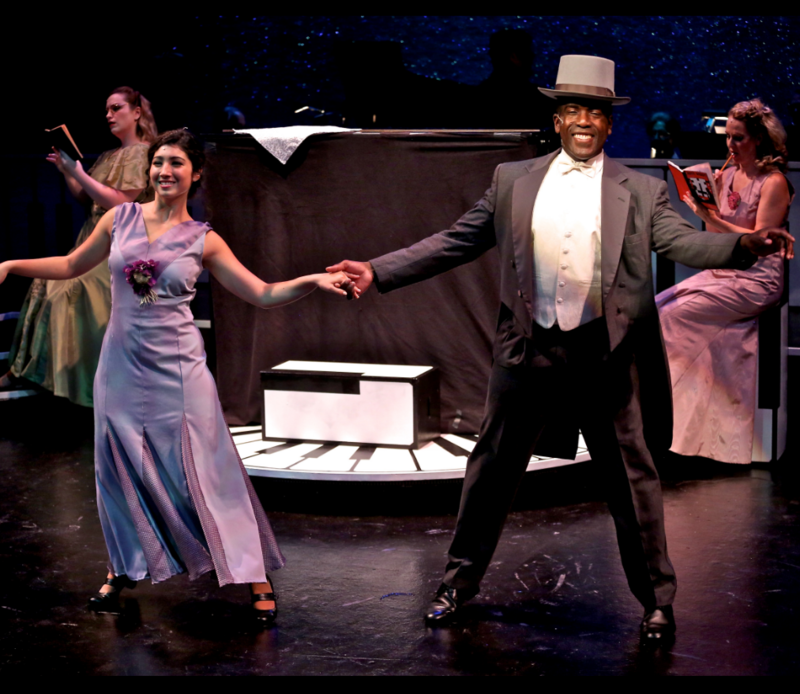 Find out how these musical masterpieces were created in this sweet, romantic, semi-autobiographical musical featuring the works of Irving Berlin. The show features ten singers, onstage band and 46 songs, including “What’ll I Do?” “Blue Skies,” “Always,” “Cheek to Cheek,” ”I’ve Got My Love to Keep Me Warm,” “Always” “Heat Wave” and many more! Featuring the talented Susannah Mars and Merideth Kaye Clark. LaRhonda Steele is the 2016 Muddy Award winner for Best Female Vocalist presented by the Cascade Blues Association. 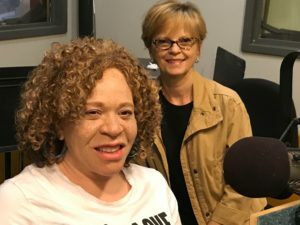 LaRhonda Steele began her musical journey in Jones, Oklahoma at age 13 singing her first solo in church one Sunday morning. Her journey continued to Portland, Oregon and beyond culminating into an powerful legacy of musical experiences. Over the years she has enjoyed working with local, national and international artists:including Curtis Salgado, Tiara Memory Janice Marie Scroggins and Gino Vannelli Performing at the Lincoln Center with Obo Addy in 2005 and her yearly appearances at the Safeway Waterfront Blues Festivals are just a couple of the highlights of her career. More at LaRhondaSteele.com. Directed by Bill Rauch World Premiere July 27 – October 28, 2017 Angus Bowmer Theatre. For tickets visit: https://www.osfashland.org/ticketing/2017/july.aspx. Or call 800.219.8161. Off The Rails. Cedric Lamar, Román Zaragoza, Ensemble. Photo by Jenny Graham. 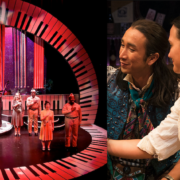 The Oregon Shakespeare Festival will reach a long-overdue milestone this month with the opening of the world-premiere production of Off the Rails, the 82-year-old Festival’s first play by a Native writer. Playwright Randy Reinholz’s irreverent and subversive adaptation of Shakespeare’s Measure for Measure, directed by OSF Artistic Director Bill Rauch, previews July 27, 28 and 29, opens July 30 and runs in the Angus Bowmer Theatre through the end of the 2017 season. 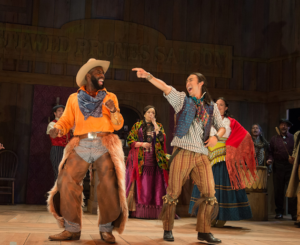 In the play, the arrival of Buffalo Bill’s Wild West Show coincides with the sentencing of a Pawnee teenager named Momaday, who is to hang for his forbidden love affair with an Irish-American girl. The harsh judgment and strict law-and-order attitude of presiding officer Captain Angelo are put to the test by Momaday’s sister, Isabel. The cast, which includes seven Native performers, features Lily Gladstone as Isabel; Shaun Taylor-Corbett as Momaday; Barret O’Brien as Angelo; Truett Felt as Caitlin; Brent Florendo as Grandfather; David Kelly as General Gatt, Elbow and Abhorson; Christopher Salazar as James McDonald; Nancy Rodriguez as Mariana; Sheila Tousey as Madame Overdone; Román Zaragoza as Alexie; Cedric Lamar as Cowboy; Stephen Michael Spencer as Pryor; Jen Olivares as Saloon Girl and Librarian; Steven Sapp as Sheriff and Matt Goodrich as Musician. 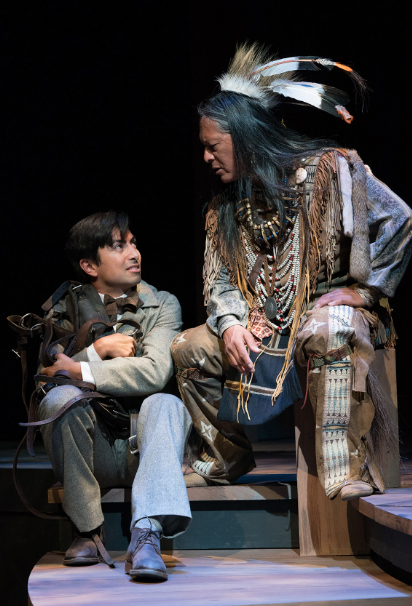 Described by Reinholz as “Blazing Saddles meets Shakespeare—with Native Americans taking the reins,” Off the Rails explores the painful legacy of Indian boarding schools in part through music and a surprising dose of humor. 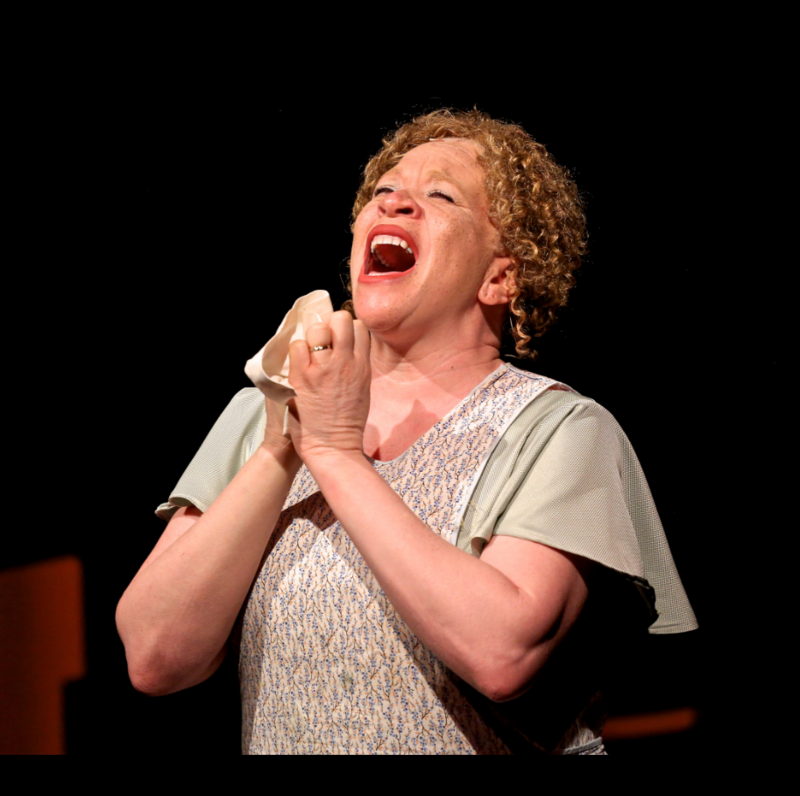 Show length is approximately 2 hours, 30 minutes, including one intermission. 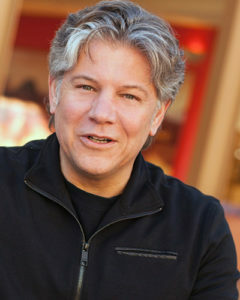 Randy Reinholz (Choctaw) / Producing Artistic Director and Co-creator,founder and the Producing Artistic Director of Native Voices at the Autry. He has directed more than 50 plays in the United States, Australia, and Canada, including The Rez Sisters, The Waiting Room, Proof, How I Learned to Drive, Hedda Gabler, Speed the Plow, The Cherry Orchard, Desire Under the Elms, The Glass Menagerie, and numerous productions of Shakespeare’s plays. For Native Voices at the Autry, he directed and produced Urban Tattoo and the Equity productions of Jump Kiss; Stone Heart; The Red Road; The Buz’Gem Blues; The Berlin Blues; Wings of Night Sky, Wings of Morning Light; Carbon Black; and Please Do Not Touch the Indians and executive produced Kino & Teresa, SUPER INDIAN, Teaching Disco Square Dancing to Our Elders, Salvage, Tales of an Urban Indian, The Frybread Queen, Walking on Turtle Island,and Ghostlands of an Urban NDN. He is co-founder and producer for the Native Radio Theater Project, collaboration between Native Voices and Native American Public Telecommunications. Off The Rails: Shaun Taylor-Corbett, Brent Florendo. Photo by Jenny Graham.